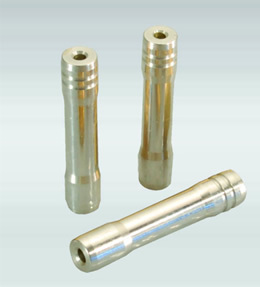 Winzeler Stamping | Electrical Stamping – Deep Draw Metal Stamping | Winzeler Stamping Co.
Comprehensive Electrical Stamping and Machining Capabilities by Winzeler Stamping Co. In business for more than 90 years, Winzeler Stamping Company has developed broad expertise as a contract manufacturer of metal stampings to a variety of markets. We operate two manufacturing facilities, each with unique equipment, skilled engineering staff to assist with product development, and a talented team of tool room specialists. One facility is fitted with versatile, multi-station transfer presses and screw machines; the other, with high-speed, progressive presses. 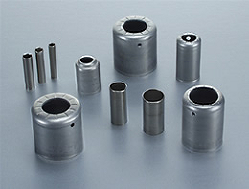 This combination of production capabilities gives Winzeler Stamping Company a unique ability to develop and provide comprehensive solutions for your electrical stamping or machining requirements. 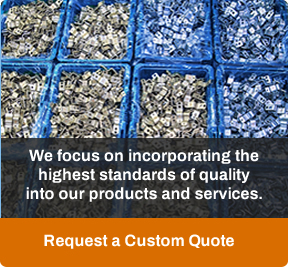 Having successfully produced millions of components for electrical and/or electronics industry applications, we take great pride in our commitment to providing high quality products with the accurate replication that today’s manufacturers count on. We manufacture components using an array of materials including stainless steel, aluminum, brass, copper, High Strength Low Alloy (HSLA) steel as well as other cold rolled and hot rolled steel alloys. Secondary services are also available to provide you with finished part options. For more information on any of our Electrical Stamping or Deep Draw Metal Stamping capabilities, Contact Us today. Be sure to visit our automotive, appliance, and lawn & garden pages for more information on the markets we serve.